The overwhelming sentiment when leaving Santa Anita Park in Arcadia on Saturday was that everyone saw the winner of next month’s Kentucky Derby. Heck, he might finally break the drought of Triple Crown winners. And they well have, but maybe it wasn’t the horse you’re thinking about. 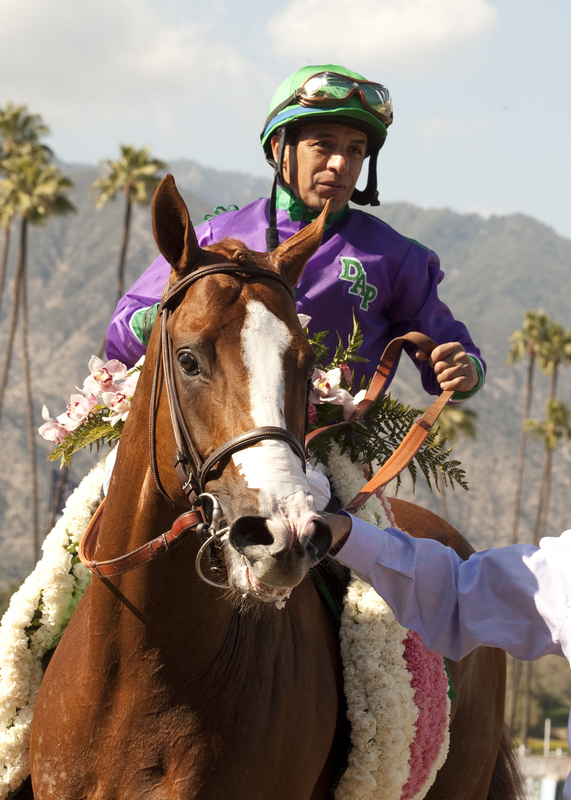 There’s no doubt that California Chrome was spectacular in winning Saturday’s Santa Anita Derby. But will he be the winner on the first Saturday of May in Louisville, Ky. The thing you have to remember is there will be a full field of 20 horses at Churchill Downs. There will be all kinds of trouble for all kinds of horses. There will be horses that don’t belong, and California Chrome surely isn’t one of those, but he could get stopped by one who is. Remember funny things happen in 20-horse fields. I hope California Chrome wins it for trainer Art Sherman and jockey Victor Espinoza and to stick it to the “bluebloods,” but I know too many things can go wrong. It just seems amazing to me that California Chrome was running last summer in Cal-bred races and now maybe the betting favorite in Kentucky. It brings back fond memories of Silver Charm, one of my all-time favorites. Hoppertunity, who finished second to California Chrome, certainly belongs in the equation. He has run three good races in a row. And perhaps the most impressive 3-year-old winner Saturday was Wicked Strong taking the Wood Memorial at Aqueduct, seemingly passing the entire field in the stretch. Personally, I’m keeping my eye on Commanding Curve, who finished third in the Louisiana Derby, to see if he gets in. And don’t forget there are two more big preps this coming Saturday with the Blue Grass at Keeneland and the Arkansas Derby at Hot Spring, Ark. Wait until all the data is in and then make your decision. Just think how many other times have you left Santa Anita on its Derby Day saying you thought you saw the winner of the Kentucky Derby? You might have and you might not. A lot of people think California Chrome is the horse that can go all the way.